Senior had interception last Friday against Gardiner on same day his mother died. AUGUSTA — Saturday morning film sessions after a big victory the night before tend to be pretty jovial for the Cony High School football team. This past Saturday’s was more of the same following a 40-0 win over rival Gardiner until a certain play flashed across the screen. The sequence in question came with just under seven minutes remaining in the game with the Rams up 40-0 — hardly the time when plays of such importance tend to occur. Gardiner quarterback Eli Kropp had been flushed from the pocket and tossed a ball downfield into double coverage. Senior defensive backs Nijual Davis and Lucas Tyler each could have picked off the pass, but it was Tyler who came away with the jump-ball interception. 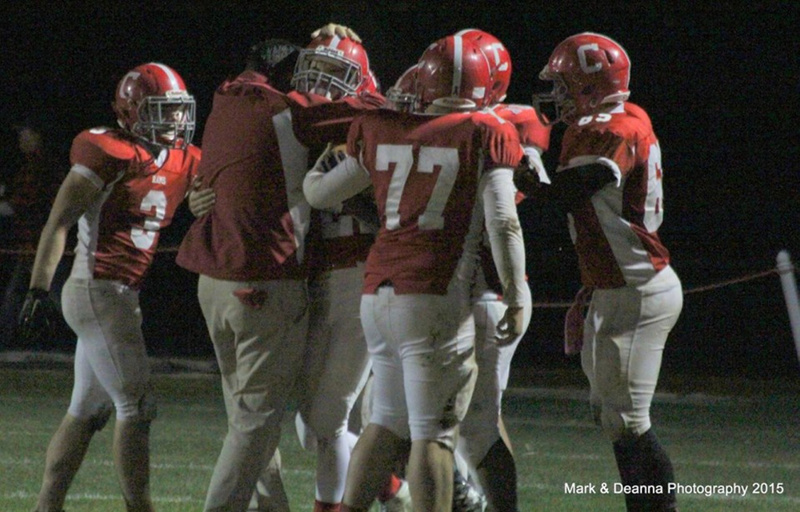 Moments later he was mobbed by a sea of red, Cony head coach B.L. Lippert among those leading the charge. “As soon as the ball went up, I saw that he had really good position,” Lippert said. “I started to run actually before he even picked it off and before he hit the ground a bunch of us were there. In the early hours of Friday morning, Lucas Tyler’s mother, Carrie, died at home unexpectedly at the age of 40. While word eventually traveled during the school day, initially Tyler had asked Lippert not to let the team know what had happened. For those that know Tyler, the fact that he did not want people to know or that he played in the game Friday night did not come as much of a surprise. Tyler is the type who lets his play do the talking. He may not get as much attention as players like Brunelle or Reid Shostak, but has been every bit as important, according to his coach. “He’s probably our best cover corner. He’s usually in good position, he’s actually quite fast, he moves well and he sets the edge as a tackler. 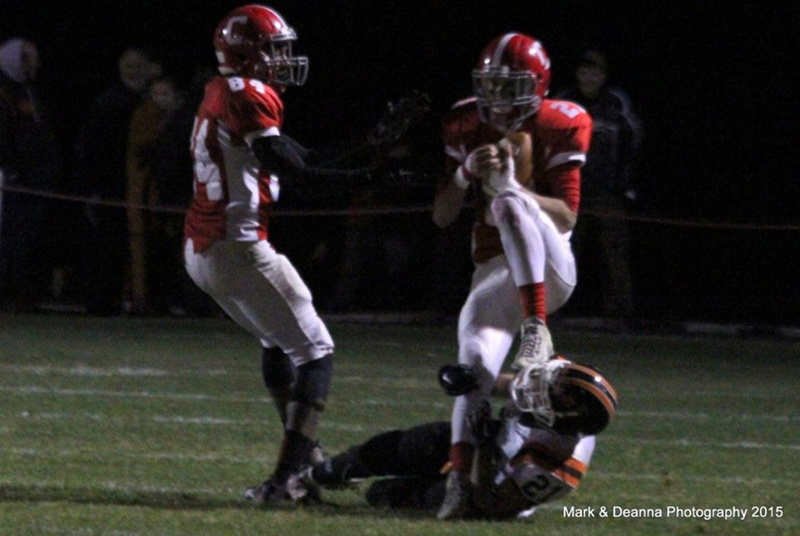 He’s not the most physical kid but he gets the job done,” Lippert said. “He’s really a kid that just kept getting better. Friday’s interception meant a lot, Tyler said, not just for the play itself but for the way the team reacted as well. As it prepares for its Pine Tree Conference B playoff game Friday at 7 p.m. at Mt. Blue, Cony has increased its focus on playing together in what has been a trying week for those associated with Rams football. 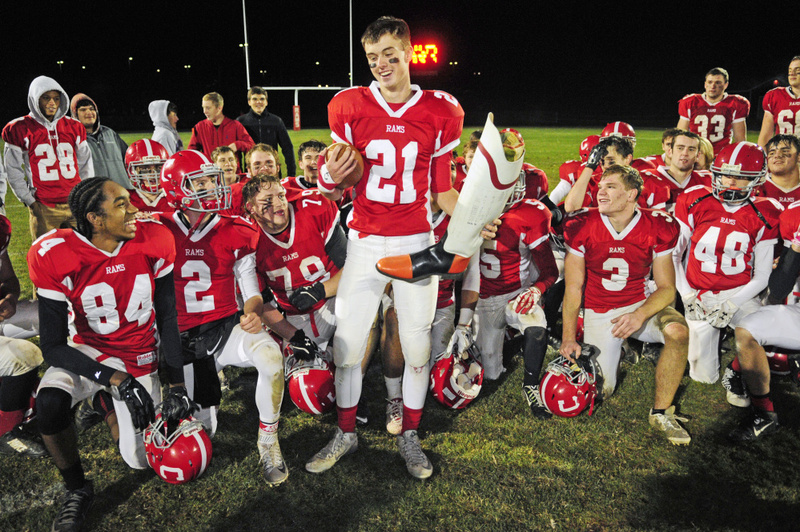 On the same day Carrie Tyler passed away, Alison Lucas — mother of former Cony quarterback and Fitzpatrick Trophy winner Ben Lucas — died after a lengthy bout with cancer. She was 50. “We typically say ‘win’ when we get together as a team or ‘dominate’ and we’ve started saying family, because that was a reminder for perspective for our kids that life can be pretty fragile,” Lippert said. “Football is a tough sport — it’s demanding — but in the end we’re all a family, and whether you’re playing now or you’re a graduate we’re going to be there for you.